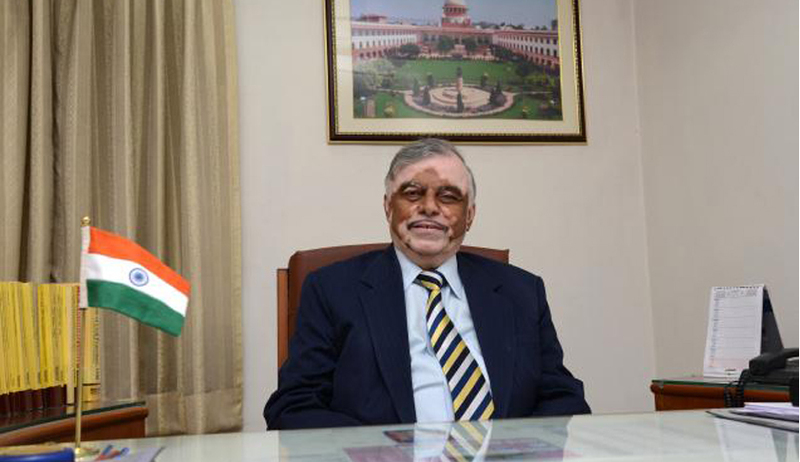 While inaugurating the Alternative Disputes Redressal (ADR) Centre and laying foundation for a new administrative block for the Madras High Court, the Chief Justice of India P Sathasivam said that although people do not elect judges and advocates, the two are answerable and accountable to the public. He said judiciary was enjoying enormous public confidence and trust, and hence advocates and judges must conduct themselves in a manner befitting the stature. On another occasion, while addressing members of various Bar associations, CJI called upon lawyers to help in improving the public image and perception of the profession. "The image of the lawyer must change in the eyes of the society. I am confident that the day when all the lawyers wilfully offer their services both as advisor and as advocate, our society will revere the profession," the CJI said. He mentioned that India had approximately 12 lakh registered advocates, and every year 60,000 to 70,000 law graduates are joining the profession. While pointing out that the Supreme Court has introduced a system wherein the listing of cases and the bench before which they are listed would be conveyed to advocates and litigants through SMS and email, he said very soon the service would be extended to daily orders as well. Notably, the CJI also said that there might not be any consensus on the location of regional benches. In connection with a southern bench of the apex court, the CJI noted that even the all India conference of chief justices and chief ministers could not take a final decision on the matter, and that the demand was misplaced as the apex court proceedings could be followed on real-time basis from any part of the country. "Right now no decision is likely on formation of regional benches of the Supreme Court," the CJI said.